2018 Luxury Hotel Keppler in Paris, FRANCE! Bid Per Room Per Night and Stay Two (2) Nights! at Luxury Hotel Keppler in Paris, FRANCE! 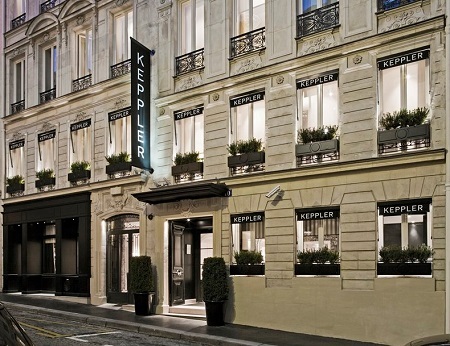 Standing at the intersection of the bustling 8th Arrondissement and the stately 16th Arrondissement, Hotel Keppler is a stylish sanctuary tantalizingly close to the Champs-Elysées and the Arc de Triomphe. Within walking distance of high-end shopping and culture, including the Musée du Louvre, Hotel Keppler is an ideal Parisian boutique hotel. 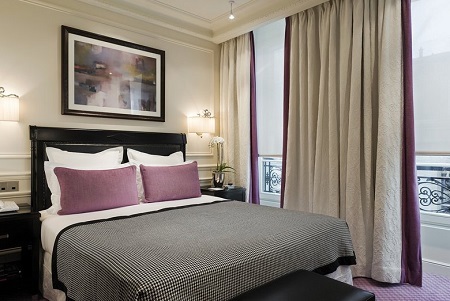 At Hotel Keppler, Standard Room, Queen Bed - 2 persons maximum - View Over Parisian Street - Black and White Décor. The beautiful decoration of black and white of our standard room is weaved with feminine touches of cranberry or sun-yellow armchair and bed cushions. The furniture is all custom-designed and the black leather closet is outstanding. All standard rooms have a queen bed and luxurious bathroom. Stay 2 Nights as desired and based on availability.